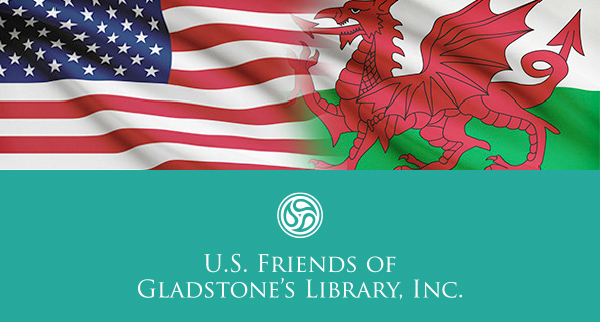 In this season of thanksgiving, I write on behalf of Jane Brady who, as Acting President so ably coordinated the work of the U. S. Friends of Gladstone's Library, and our fellow directors to ask that you please consider a generous contribution to the U.S. Friends. Mr. Gladstone wanted to ensure that study and learning were not limited to only the most privileged. Â His library continues that quest and I hope you will join us in supporting the Library in your year-end giving. Board members cover administrative expenses of the U.S. Friends so your contribution goes entirely to Library support. I encourage you to be in touch (evenbeck@hotmail.com) if you have suggestions for strengthening our support of the Library through the U.S. Friends. All the best for the upcoming holiday seasons. If you would like to make an online donation by credit card, please click here. If you prefer to make a donation by check, pleaseÂ click here toÂ download a donation form. Information about other ways of giving can be found on the U.S. Friends website. At their meeting in May at Stella and Charles Guttman Community College, New York, the Board unanimously approved a grant of $23,000 to Gladstone's Library to support the Robinson-Spong Lectureship, the purchase of books for the collection and the Gladstone's Living Heritage Â Project. I hope many of you will be able to visit the Library yourselves in 2016 but am pleased to report that the U.S. Friends are planning an important gathering at Princeton from Friday 24 -- Sunday 25 June. Please mark your calendar now for this wonderful literary event - Salon on Stockton Street - which is to be jointly hosted by the Center of Theological Inquiry (CTI), Morven Historical House and Gladstone's Library. Peter Francis will be joining us along with two of the Library's former Writers in Residence, Stella Duffy and Sarah Perry. The U.S. Friends are currently focusing their fundraising efforts on supporting this prestigious event and I do hope you will feel this is worthy of your support. Our target is $5,000 to cover the costs of flights for Peter and the writers. The Salon is expected to attract full houses for its program of events which will include three sessions devoted to telling the story of the three visionary men behind each of these institutions: Richard Stockton, who signed the Declaration of Independence for New Jersey and whose home Morven was, James McCord, the visionary theological educator who started CTI, and William Gladstone. The three talks will focus on how each institution continues to respond to its founder's vision. Further details will be available on the websites of Gladstone's Library and the U.S. Friends in the New Year. The Library's periodic electronic newsletter is such a good means for us keeping up to date with their news. Please remember that the Library also hosts an excellent website where we can visit virtually. The U.S. Friends also have their own website and Facebook page so please use this to post any memories or photos you have of past visits to the Library.